For more than 20 years I had been responsible for public relations and press work as well as event management of a well-known German shipping company. Cooking and travelling was always my way of relaxing then. Today I combine my passion for good food and manyfold culinary delights with my communicative skills writing about culinary topics, developing recipes including foodstyling and photography. I am looking forward to a cooperation with you! 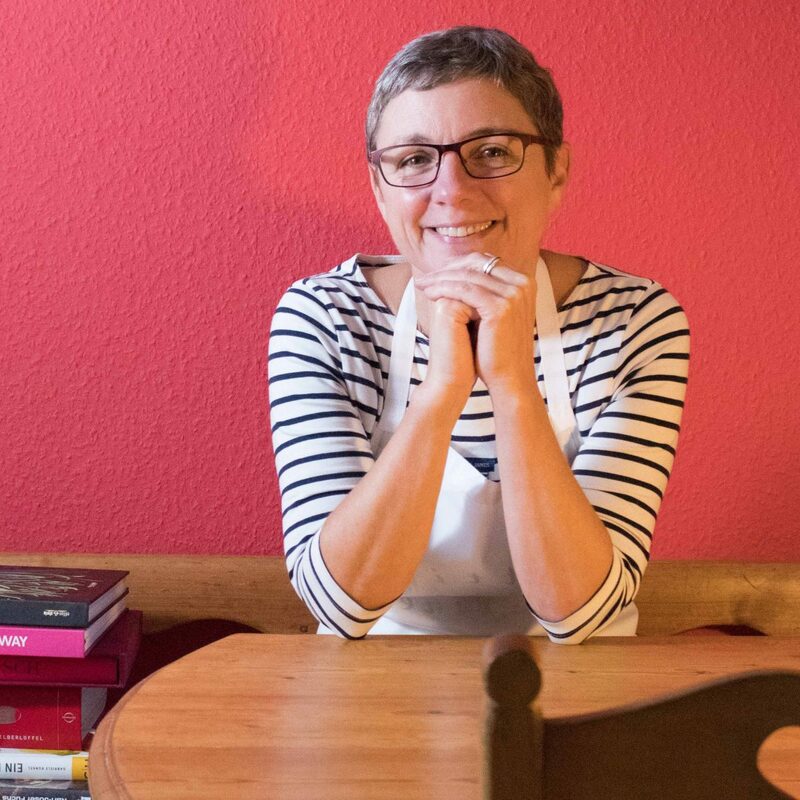 Interview with "German Food Blogs"
European Association of Shipping Journalists - several publications in the category "Cruises"
Captain’s dinner publishes recipes in the new cookbook! Quinces are a (almost) forgotten fruit. Hardly anyone knows or uses this fruit today. Markus Wittur is committed to the preservation of ancient varieties of quince. 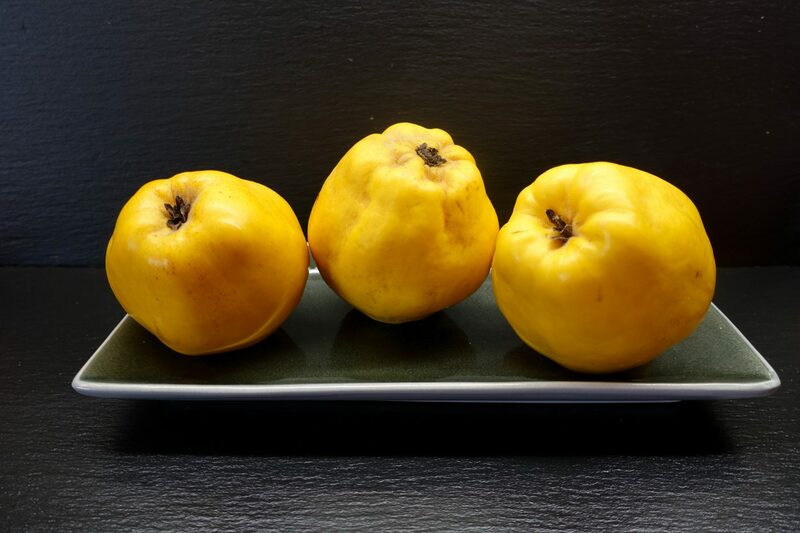 The Franconian “Quince Savior” has published a unique and very personal recipe collection on this golden yellow fruit with a special, so beguiling scent. I’m glad that my recipes and photos are represented in this book. I would describe myself as a wine lover, but definitely not as wine connoisseurs. I know if I like the taste of a wine or not. And, Yes, I confess that the label of a bottle for me is not quite irrelevant. Therefore, maybe my favorite color lilac was somewhat of a guide when I placed my first wine order in Nierstein [also known as Riesling city at the banks of river Rhine]. Because Lisa likes lilac. 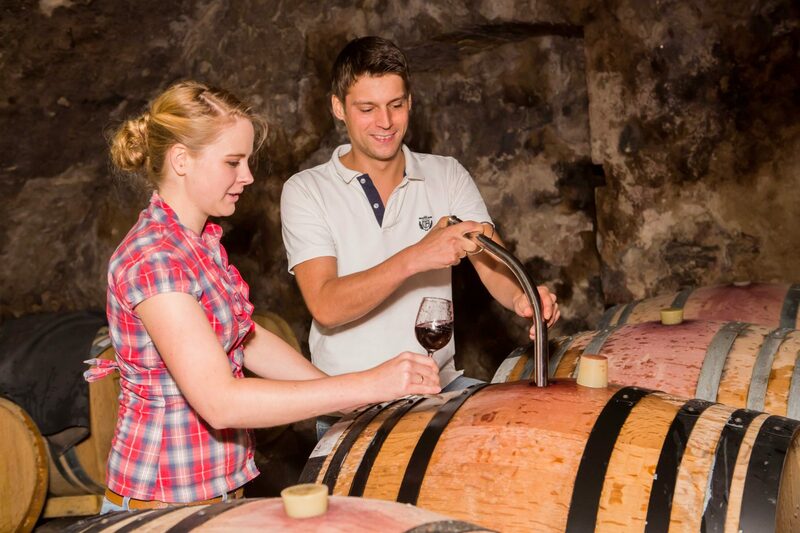 Now, the shooting star of the young German wine makers has promised to give her personal wine recommendations for selected Captain’s Dinner menus. And this is the way it happened. 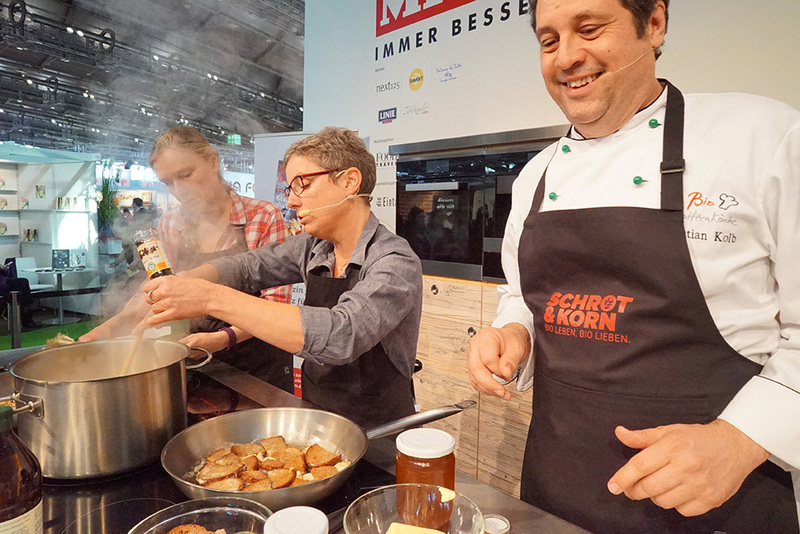 „In the show kitchen of Frankfurt book fair it smelled like garlic and vanilla at the same time. 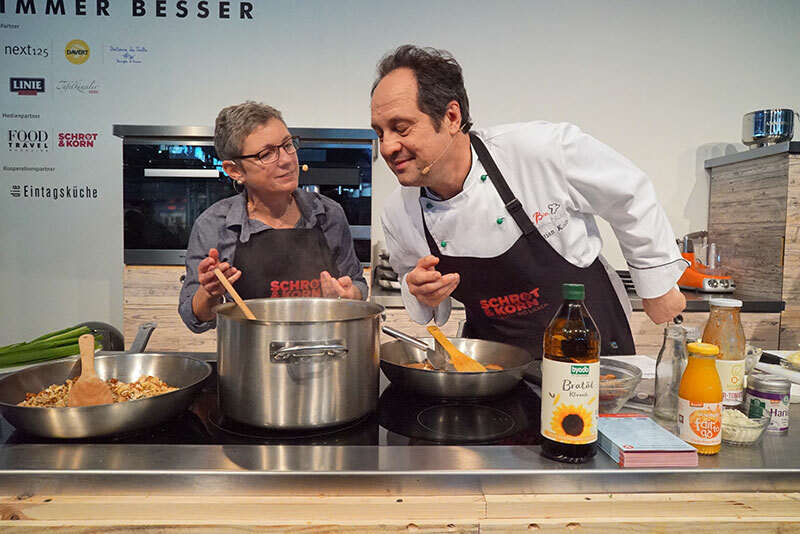 It was mouthwatering for the people sitting in front of the cooking area.“ These are the opening words of an article of the December issue of health food magazine „Schrot & Korn“ about my performance in the Gourmet Gallery at Frankfurt book fair. The issue will be published on November 28th, it is available gratis in all German organic markets. And I did not shed any tears at all.